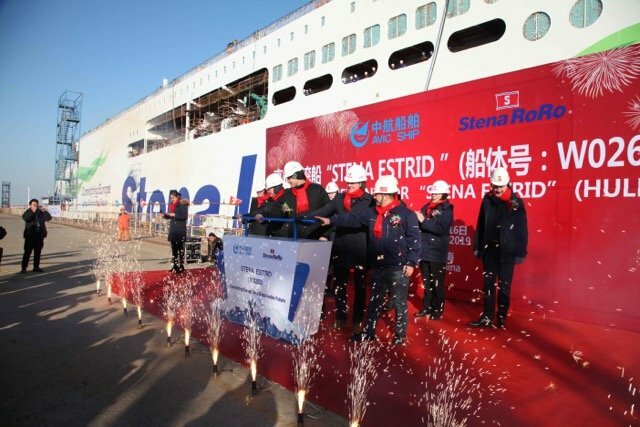 Stena Line has reached another significant milestone in its major new ferry fleet investment programme with the ‘launching’ ceremony of the first of its next generation of RoPax vessel taking place at the Avic Weihai Shipyard in China. 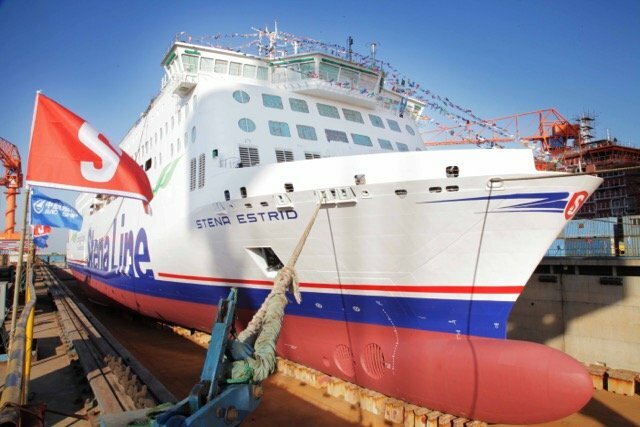 “Stena Estrid will bring many benefits to ferry users including speedy and efficient loading/unloading operations plus further development of our Scandinavian inspired facilities including our restful and bespoke Hygge Lounge and the latest upgrade of our premium product, the Stena Plus concept. The new ships will be spacious, light and make use of panoramic views. This is a very exciting time for our business and I’m proud that as Europe’s largest ferry company, Stena Line continues help shape the industry for the next generation of freight and leisure customers,” concluded Niclas.